Katanning school children dance at Official Opening, Katanning of the ‘Koorah Coolingah: Children Long Ago’ exhibition, 24th February 2006. Berndt Museum of Anthropology, The University of Western Australia. Aboriginal school children from Katanning played a vital role in the Official Opening at the Perth International Arts Festival exhibition, ‘Koorah Coolingah: Children Long Ago’. They had been practising their dances for weeks: a group of older girls, then the older boys, followed by the little kids all together. I had filmed them practising for the last time, just a few hours earlier. And now, tonight, they were transformed. Their dancing costumes, their body painting, their extraordinary enthusiasm. I was standing beside Uncle Angus Wallam, a tear falling from his cheek. 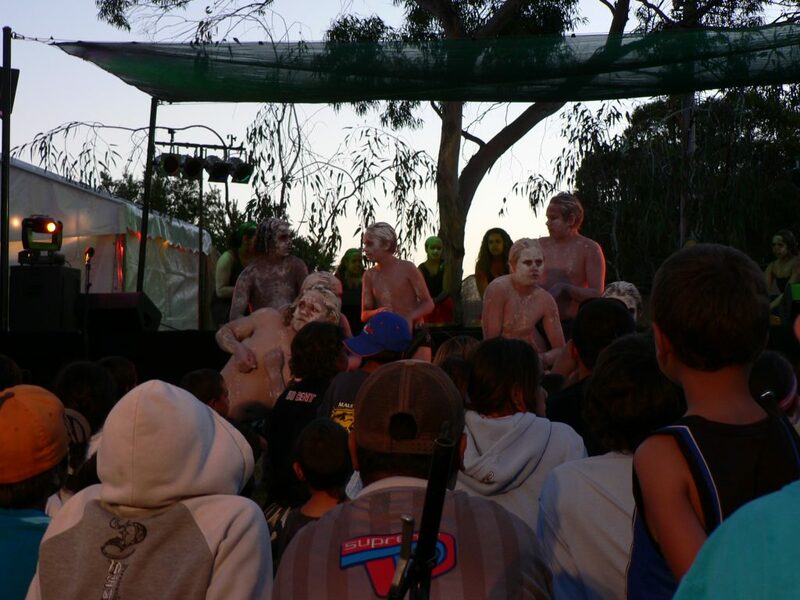 We were all very proud of these Noongar children, these Noongar coolingah. On this Noongar boodja, Noongar country.